Green is invigorating and it packs a punch without becoming over-the-top in dramatics or posh flavors. It’s down-home, yet trendy and versatile, even when the entire room has been saturated with lime tones. 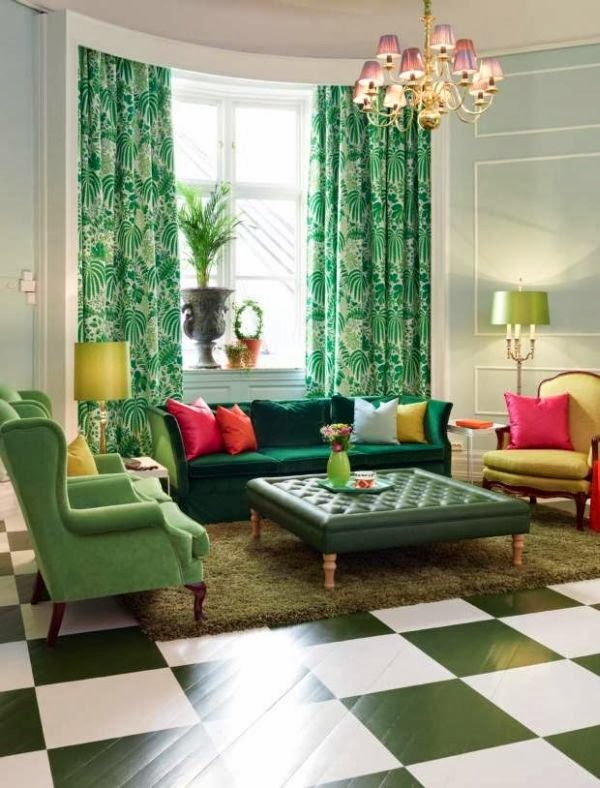 Lets take a peek at some rooms that have been dressed in this lively color, shall we? Here are some of our favorite green, monochromatic rooms. Get inspired!